Mast cell tumors (MCT) also known as mastocytomas are often called the great imposters or pretenders because of their ability to look like many benign lesions such as a lipoma. An important part of being your pet’s best advocate is learning all you can about their cancer type and making sure that the information you receive from your vet is complete. I decided to educate other pet parents about MCT when my friend’s Labrador was diagnosed with a grade 2 MCT and was told by the vet “we got it all and don’t worry”. After reading the pathology report, there is an important unanswered question which my friend did not know to ask. You’ll see why when I talk about grading of MCT. What exactly is a mast cell? Mast cells originate from the bone marrow and are normally found throughout connective tissue of the body as normal components of the immune system. As they release histamine, they are associated with allergic reactions. To put it simply, normal mast cells play an important role in mediating inflammatory responses. Statistics vary, but roughly 25% of skin tumors in dogs are MCT. Brachycephalic breeds such as Boxers, Bulldogs and Boston Terriers have a higher incidence of MCT but any breed can develop them. In Bernese Mountain Dogs MCT are inherited as a polygenic trait. Tremendous variation exists in the appearance of MCT. They may be soft and fluctuant, firm, haired or hairless, small or large, solitary or multiple, dermal or subcutaneous. This is why any mass should be evaluated via cytology because MCT can mimic lipomas and other noncancerous lesions. Aside from finding a mass, there are other profound signs which should raise suspicion of a MCT i.e., swelling that may wax and wane particularly after manipulation of the mass, itching, redness, ulceration or bruising. MCT may also cause your dog to have a GI tract ulcer. Remember MCT secrete histamine. When humans have a GI tract ulcer they may take Pepcid or Tagamet which are H2 blockers. The H in H2 stands for histamine blocker. Your pup is no different! So keep an eye out for abdominal discomfort, blood in the stools or stools darker than normal i.e. almost black which may indicate a stomach or duodenal ulcer. If you notice these signs, talk with your vet right away to determine the best way to address the issue. Once your vet has done cytology of the mass usually with a fine needle biopsy or aspirate and determined that this is indeed a MCT, what’s the next step? Once the tumor is removed, it is usually sent to a veterinary pathologist for a diagnosis which would include the grade of the tumor. Please note that any specimen sent to a pathologist that has a malignant or cancer diagnosis should have a grade listed. What does the grade tell you? The tumor grade found on a pathology report is based upon whether or not the cells are well or poorly differentiated, their mitotic activity (how quickly the cells divide), and the depth of tissue invasion of the tumor. Simply stated, it provides information about the prognosis by telling us how aggressive the tumor is. I have read many veterinary pathology reports that did not list a grade. In fact, it happened to me. 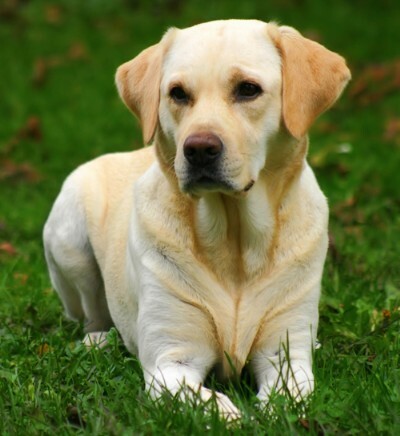 When my precious yellow lab Brandon was diagnosed with hemangiosarcoma, the pathology report did not list the grade. I had the vet contact the pathologist to reread the slides and amend the pathology report to include a grade. Why is this so important? I’m sure you have read about dogs surviving hemagiosarcoma for a year or more with the latest survivor being Addie at 3 years who is using non-traditional treatment. Are these dogs surviving longer because the treatment was truly a success or was it that they had a low grade hemangiosarcoma which responded better to therapy and contributed to the longer survival time. We’ll never know because to date, I’ve asked close to 50 pet parents whose dogs had hemangiosarcoma what the grade was and not one could tell me because the pathology report never listed it! Even the pet parents of 3 year hemangiosarcoma survivor Addie couldn’t tell me. If we are going to make strides in the treatment of canine cancer, we need to know everything about the devil that we are dealing with! We need to compare apples with apples. MCT are graded most commonly using the Patnaik scale of grades l through 3 with grade 1 having the best prognosis and grade 3 the poorest. GRADE 1: Well differentiated tumor that is confined to the dermis. GRADE 2: Tumor extends into the lower dermis and sub Q. Cells are not as well differentiated. GRADE 3: Tumor replaces Sub Q and deep tissue. Cells are poorly differentiated. I would like to bring your attention to the grade 2 MCT. There is some disagreement on treatment plans with a grade 2. If the pathology report does not state it, your vet needs to ask the pathologist in the case of a grade 2 MCT to determine if this MCT is a low grade 2 or a high grade 2. Statistically speaking, and per an article in the Journal of Veterinary Pathology, if this tumor is a low grade 2 it will more than likely behave like a grade 1 which is good news. If this MCT is a high grade 2, it will most likely behave as a grade 3 therefore requiring more aggressive treatment. Staging is another aspect of determining the prognosis of any malignancy. Staging indicates the extent of spread and is important to know in order to make an educated decision regarding your treatment plan. In the case of MCT the World Health Organization has assigned Stages 0-lV with 0 having the best prognosis and lV the worst. Please note that the actual treatment protocols for each grade and stage are not discussed in this article because, once armed with the information from a comprehensive pathology report, one can search the internet and find the most current treatments available. The main objective of this article is to educate you regarding MCT and the important aspects of the pathology report so that you can make sure this info is provided to you by your vet and you can make an intelligent and informed decision regarding treatment. Grading and staging systems may vary from cancer to cancer but remember that every cancer has a grade and stage and it is important to know this information as well as asking if the margins were clean i.e., free of tumor, for prognosis and treatment planning purposes. Having access to this information about your pet can be invaluable and will allow you to be a better partner in your pet’s care. Start being an advocate for your pet TODAY by educating yourself about your pet’s cancer and being willing to push for additional information when you feel that something has been left out. It will help you to make better decisions along the way, and in the end, could help to save their life. This entry was posted in News and tagged cancer stage in dog, canine cancer, canine mast cell cancer, canine mct, Hemangiosarcoma, joanne palmieri, mast cell tumors, MCT, tumor grading in dogs. Bookmark the permalink. My Bambam is a yorkiepoo, she’s 11.5 yrs old. This past June I found a lump on her hind leg (I am always vigilant and found the lump right away), the next day her doctor did an FNA and it came back mast cell. Two weeks later she had it removed. It was encapsulated and her doc removed it all. It was a low grade 2. I believe the stating is a 0 being that it was localized in her leg. Any links to how I can change her diet? She is on Royal Canin SO due to a history of bladder stones and I am afraid to change her diet.